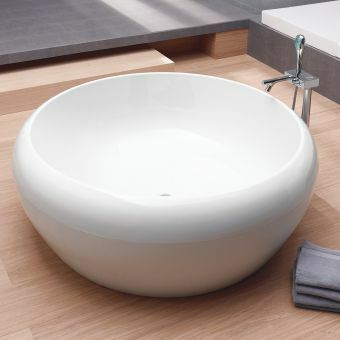 Pure and elegant, the Emperor bath is fit for royalty. 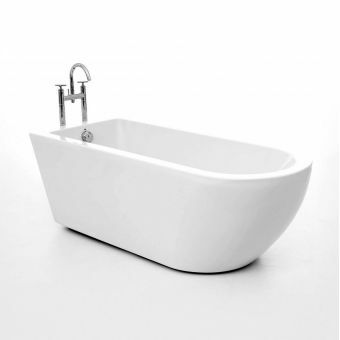 Crafted into an exquisite slipper shape, it provides the user with a luxurious soak. 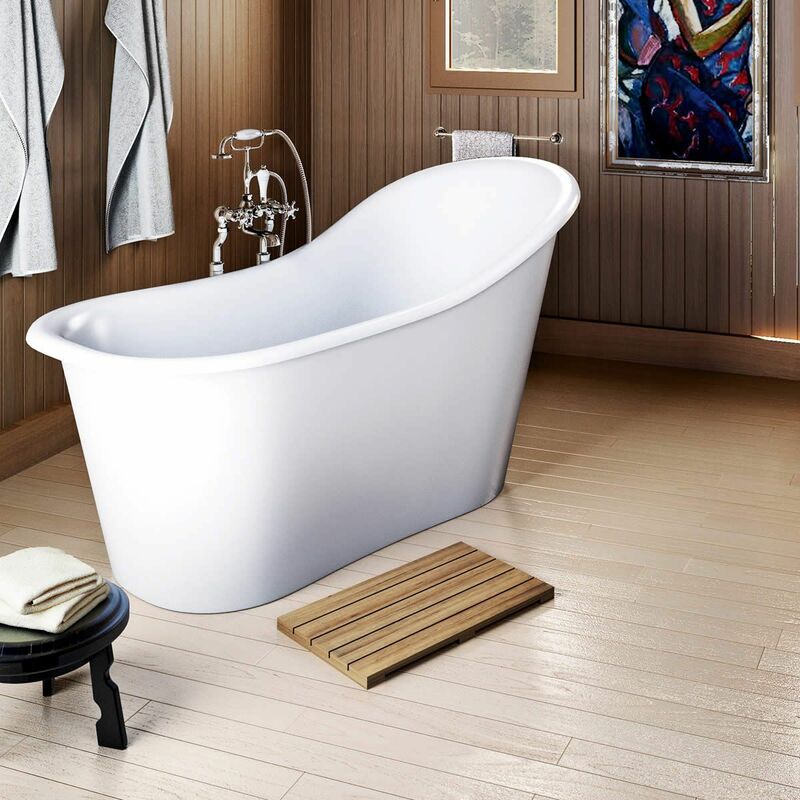 Shaped into the classic slipper bath design, the Emperor is a truly timeless piece. 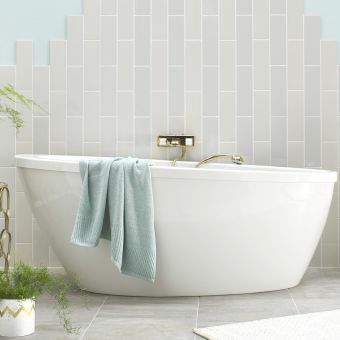 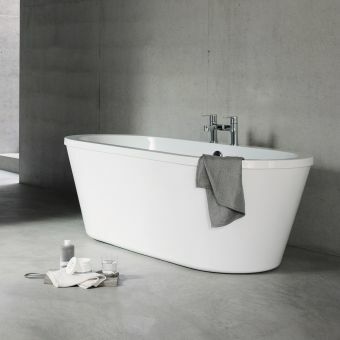 Possessing a generous displaced capacity of 242 litres, this curvaceous bath provides a warm soak with plenty of back support for total comfort. 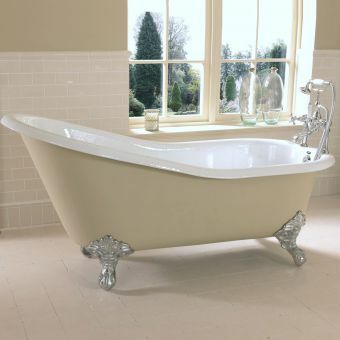 Designed to be used with a tall free standing bath mixer for a classic, sophisticated look, these can be placed at the sides or at the feet end. 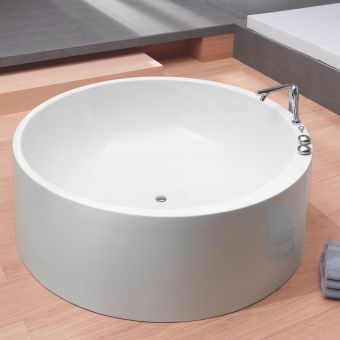 Please note that this bath tub is not compatible with rim mounted taps. 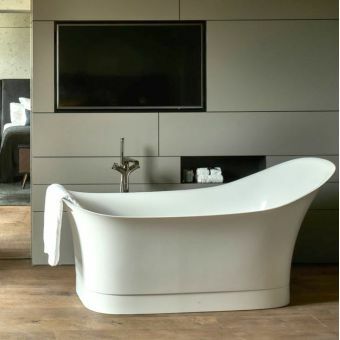 Overall dimensions of this unit are 725mm by 776mm/580mm, with a length of 1530mm.